What lies ahead for Tanztheater Wuppertal? When new artistic director Adolphe Binder’s contract was terminated without notice in July, the process of renewal that had begun at the internationally renowned Tanztheater Wuppertal, founded by Pina Bausch, seemed to stagnate. But two new pieces created in 2018 on Binder’s initiative, ‘Since She’ and ‘Neues Stück II’, have contributed some fresh aesthetic and scenic ideas to life at the Wuppertal dance-theatre. It’s not always easy to usher in a new era. Following the death of the Wuppertal Tanztheater’s famous founder ten years ago, a turbulent time began for the ensemble, which had to find its feet anew. To mark a break with the past and ring in the new, the theatre, which is still state subsidized, hired Adolphe Binder as new artistic director. She took up her post in May 2017 with the mission to break new ground with the ensemble. For the first time in its history, she invited guest choreographers to create new pieces with the performers, most of whom had worked with Pina Bausch personally. It was clear that this would open new avenues, in terms of both content and aesthetics. For the collaboration project, Binder chose two international artists who are currently blazing a trail on the international scene. One is Dimitris Papaionannou, acclaimed for his pieces Still Life and The Great Tamer (BTR 5/2017). Anyone with a passing interest in dance theatre will have come across his physical theatre, reflecting the roots of contemporary society in Greek mythology. In May 2018, the dance-theatre star from Athens had the honour of officially ringing in the new era with his new piece (Neues Stück I). This was followed in June by Neues Stück II, a production by Alan Lucien Øyen, a young Norwegian whose blend of choreography and drama perfectly suits the Wuppertal troupe. Binder discovered the talented Øyen during her tenure as artistic director of GöteborgsOperans Danskompani. At the same time, the ensemble was rejuvenated by the addition of many young performers with a gift for combining choreography and drama, be they from Germany, Canada, Russia or the United States. This continues a recent tradition of keeping the ensemble young and so ensuring that dance-theatre as a branch of the arts retains its international appeal. Each of the new contributors has an entirely distinctive signature, both personality-wise and in terms of formats and scenic approaches. The only thing they have in common is that they both employ a combination of old incumbents and new-generation performers on the stage, who complement each other wonderfully in both ‘new pieces’ (as the German Neue Stücke translates). The titles of both new productions contain hidden tributes to Pina Bausch – Øyen’s especially because he opted for the plain ‘New Piece’ label, just as Pina used to do, until the premiere. 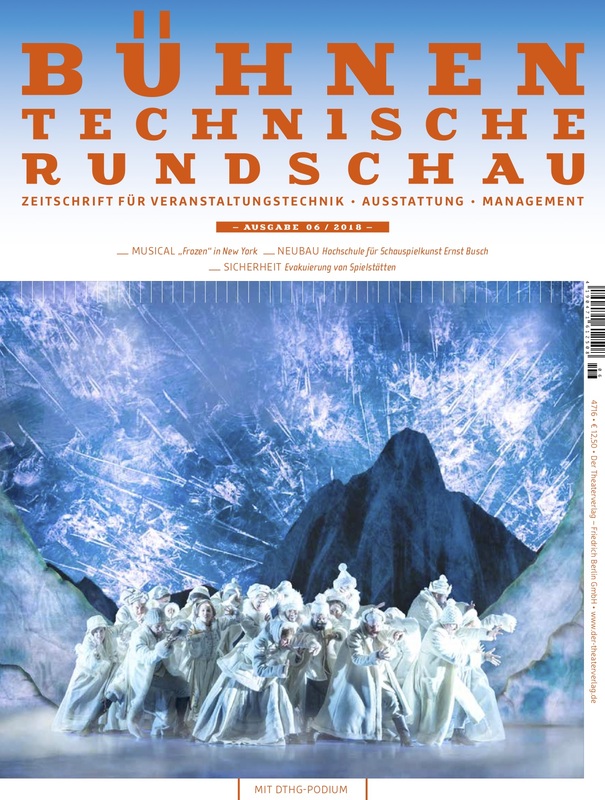 Not only that, Øyen paid his respect to Bausch by his choice of format for the piece, which at three-and-a-half hours with one interval celebrates dance-theatre in true Wuppertal style. Otherwise known for his contemporary choice of subject mater and aesthetics, as well as for his use of live video art, here Øyen employs an unusually realistic, historicizing stage set. A home interior with floorboards, armchairs, old wallpaper and scuffed doors, dressers, lamps and curtains, it looks like a setting for an Ibsen play. It is the kind of realism that would suit Nora or the The Wild Duck. Papaioannou’s Since She also contains a tribute to Pina Bausch in the title. Thinking it on, it seems to be saying: since she … left us. That is the crux of the matter; although Bausch passed away ten years ago, her spirit continues to float over the theatre. The opening and closing scenes feature chairs as the main protagonists, like in Café Müller, which was premiered exactly 40 years to the day before Papaioannou’s debut in Wuppertal. First the dancers cross the stage on a mobile bridge made of seating, then the café chairs are piled up on the body of one of the dancers to form a pyramid which inevitably collapses in the end. What look like slates or slabs of rock are in fact soft and undulating mats with a foam filling. The starting point for creating the rocky setting was one standardized mat format. By varying it and piling several units up on top of each other, formations evoking untamed nature are created. It is easy to imagine the craggy landscapes that provided the inspiration for Papaioannou’s models. The structure, symbolism, force and dimensions of the set recall the era of great stage designers like Peter Pabst. Stage designer Tina Tzoka piled up the mats into five towers, which partly interconnect and form a landscape. Each dark grey mat is two metres long and made of flame-retardant foam, type VP-50 FR, between 0.9 and 1.6 metres wide. The mats are of varying thicknesses, from 10 to 22cm. Various widths and depths were combined, resulting in a total of 28 different formats, with a wide range of volumes and weights. The smallest is only 0.18m³ while the largest and therefore heaviest unit is 0.7m³. There is only one model of each of these formats, and eleven of the most frequently occurring medium-sized units (1.2m wide and only 14 cm high). The five towers, from left to right, consist of 24, 28, 12, 21 and 22 mats. As they are not self-supporting, they are held together at the back by a hidden frame. This supporting structure is 3m high and 4.5m deep and reached from above by a 2.8m-high ladder. With the support of the frame, the performers can climb up and down the mat-rock formations. They can place a tree on the top and go on a sledge ride in an upturned table back down. The mats stay in place. Papaioannou loves to make figures appear from a material or disappear into it. In contrast to the piles of mats, the frame is made of standard-sized elements, measuring 50cm and 100cm. This ensures it can be compactly stored and transported, which is important for going on tour. Both Papaioannou’s and Øyen’s ‘new piece’ are already touring, currently showing at Sadler’s Wells in London and on the schedule at the Théâtre de la Ville in Paris. Every time the stage set for Neues Stück II is packed for transport, it looks like a conventional house removal, as it consists chiefly of furniture plus a few movable walls. Papaioannou’s abstract elements, in contrast, only make sense as a set when they are completely assembled. It is the first time that two full-length pieces have been created simultaneously in Wuppertal. It seemed to herald the start of a new era. But the future has once again been cast into doubt. Binder has gone and Bettina Wagner-Bergelt, previously associate director of the Bavarian State Ballet, has been appointed as her provisional successor. Her tenure is projected to last only two seasons.